General Contractor: Farrar Associates, Inc. The Aquidneck Mill was built in 1831, between Newport’s two prosperous eras, the Colonial and Gilded Ages. The Mill served as a hub of cotton manufacturing, and originally employed nearly 100 workers within its three and a half store green granite building. 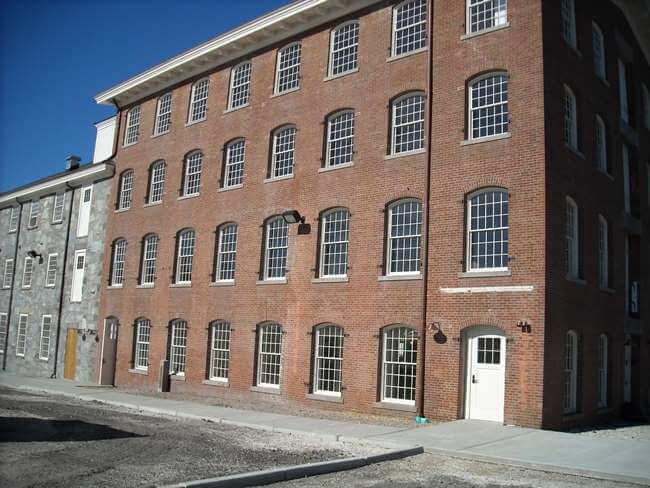 As manufacturing in Newport grew, so did the Aquidneck Mill, and a four story brick addition was added. The cotton mill closed in 1884, and the buildings served to house a variety of new owners over the subsequent decades, including the Burnham Elastic Webbing Company, the Edison Illumination Company, and the Newport County Electric Company, before falling under ownership of the International Yacht Restoration School in 1995. 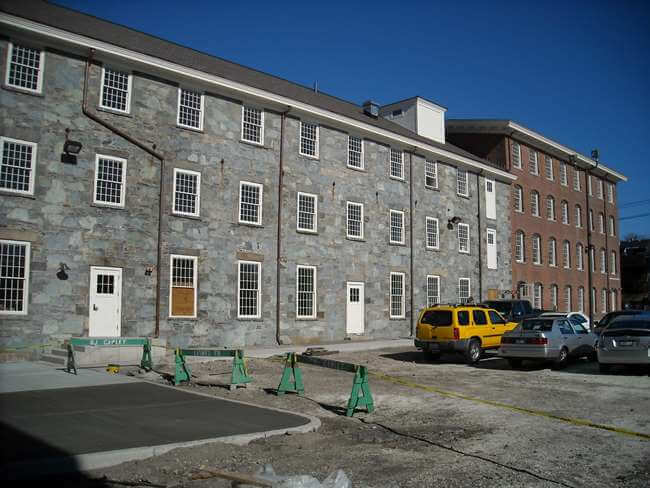 As part of a major renovation of these historic Thames Street warehouses, under the supervision of Rhode Island Historical Commission, both brick and rubble stone mill buildings were completely renovated. The windows had been subject to sea air and storms for years, and were seriously deteriorated and beyond salvage. 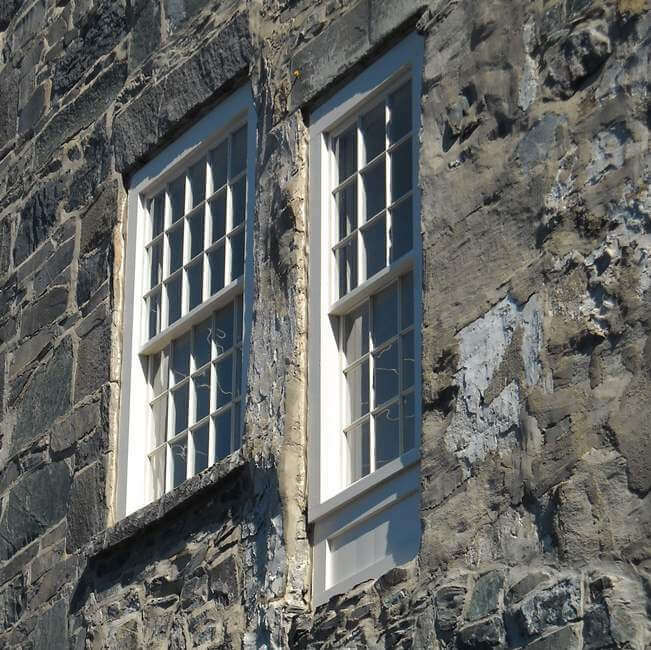 M&A provided replica custom wood windows for both the original 1831 stone building as well as the later brick addition, complete with restoration glass to simulate the original glazing. 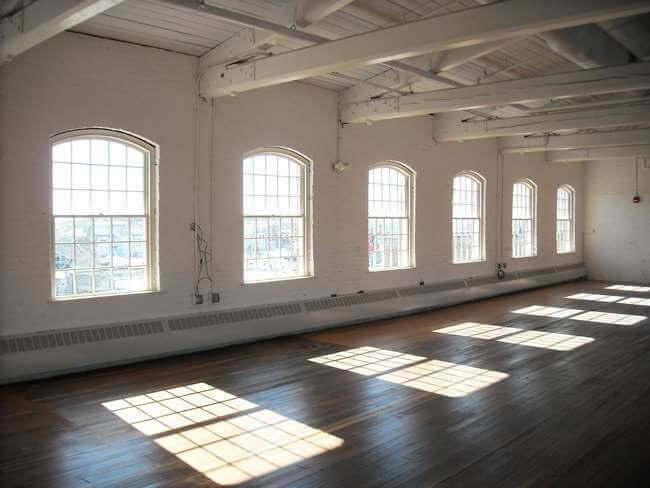 Beyond acting as an educational space for the International Yacht Restoration School, the restored mill buildings house commercial space and a maritime research library. The project received the 2009 Newport Restoration Foundation’s Doris Duke Historic Preservation Award as well as the 2013 Grow Smart RI Outstanding Smart Growth Project Award.